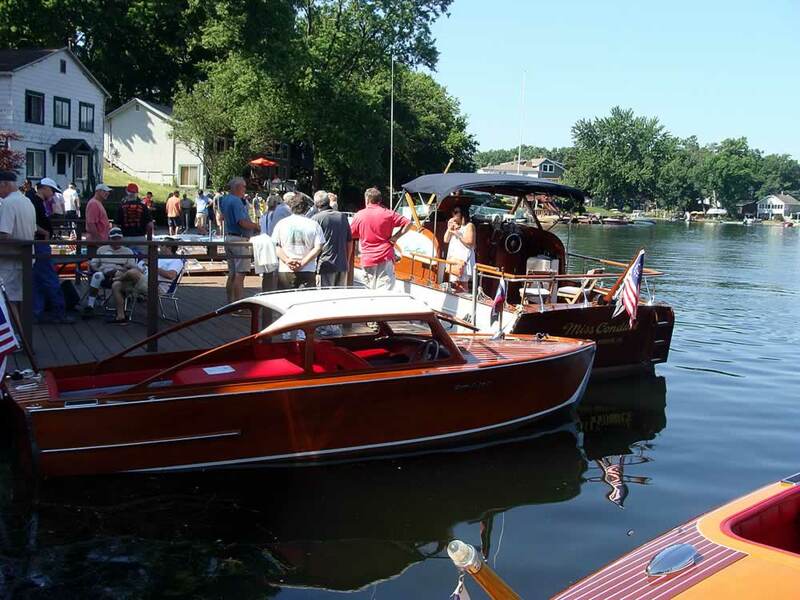 On Saturday June 24th plan to attend the Portage Lakes 42nd annual antique and classic boat show. This free event will be held from 9:00 am to 3:00 pm at the “On Tap at the Harbor” restaurant and docks, on Portage Lakes Drive in Coventry, Ohio, just 5 miles south of downtown Akron. 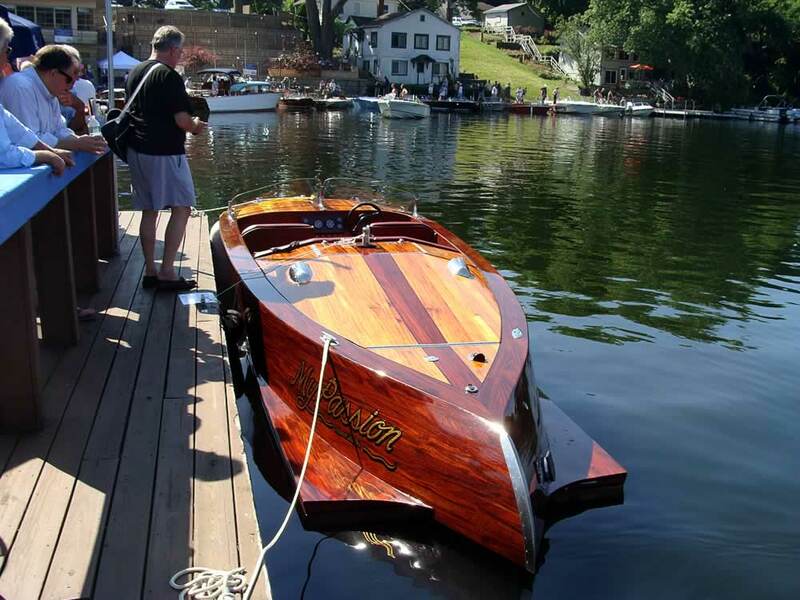 There will be over 50 beautiful wood and vintage fiberglass boats, both in the water and on land which display the elegance and craftsmanship of America’s skilled boat manufacturers. There will also be a “Field of Dreams Sale Lot” with boats for sale on display. The Antique and Classic Boat Society, an international organization devoted to the preservation and recognition of all types of personal watercraft with over 55 chapters throughout North America and Europe. The North Coast Ohio Chapter with over 130 members are very active in restoring, showing, and using their unique boats. Many of these members will have their boats on display at this show. In the last few years, there has been growing interest in the original fiberglass boats which became popular in the late 1960’s as wood boat production was phased out due to shortages of mahogany, production costs, and desire for easier to maintain boats. Those earlier model fiberglass boats had unique designs influenced by the finned automobiles of the late 50’s and 60’s. You will see some of those boats at the show. 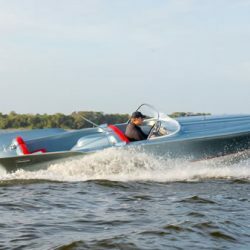 One unique fiberglass boat from manufacturer Chris Craft, is the Chris Craft “Silver Arrow”. This is one of Chris Craft’s early attempts to make a fiberglass boat. The hull material is spruce wood covered with an outer layer of fiberglass. Made for two years, 1958 and 1959, the 19-foot boat only came in one hull color—silver, hence the name. At the time, no one would have guessed these boats would earn a cult following and become so popular. There were only 92 built and they all came with the same Tango Red & White interiors. There were three engines offered; Chris-Craft KFL 6-Cylinder, GM 185 Hp, 283 c.i.d. V-8 and the Dearborn Interceptor 215 made by Ford. We will have one of the best examples of the Chris Craft Silver Arrow at our show (shown left). It is the 50th boat in this series made by Chris Craft and is owned by Aaron LeDonne of Ynot Yachts in Pittsburg, Pennsylvania. His restoration and boat building company has lovingly restored this boat to a state of perfection. It is truly something to behold. There will also be some award-winning boats from all around Ohio, New York and Pennsylvania at this year’s show. Come and enjoy a lavish breakfast buffet and dockside dining next to the gleaming chrome and sparkling, varnished, floating works of art. The always popular collectable show posters and t-shirts will be for sale. 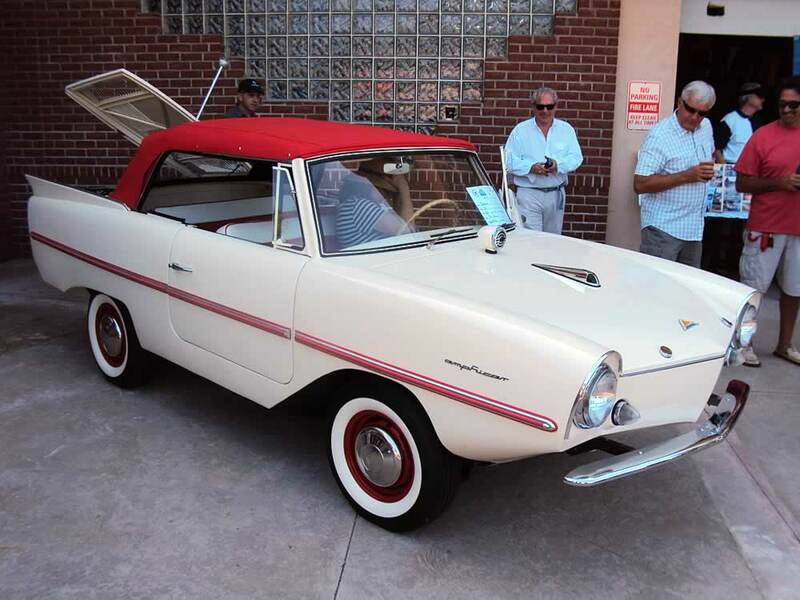 Over 50 fine local businesses and organizations have sponsored this unique event that is one of the longest running antique boat shows in the U.S. Along with the North Coast Ohio Chapter our co-sponsor of the show is the Portage Lakes Historical Society. 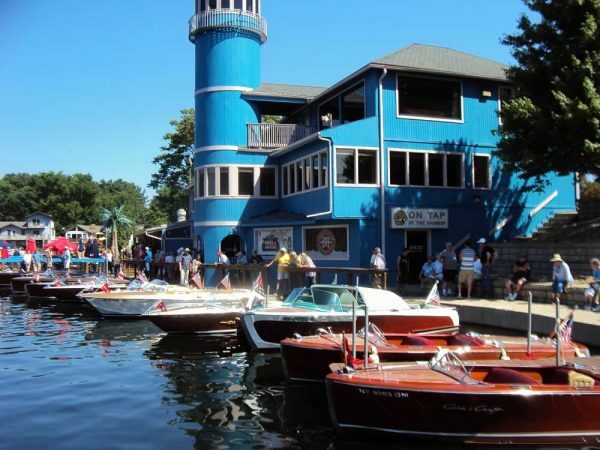 Don’t miss this celebration of summertime and beautiful boats on the Portage Lakes, Saturday June 24th, “OnTap at the Harbor”. For show and registration information contact the show chairman, Gil Maringer, 216-310-7475.
Who are the official sponsors? Who is officially in charge? Where will it be held? Day? Date? Time? Etc. How many boats are expected? Will brunch be available to the boat patrons? Awards will be given to what categories? Will there be a People’s Choice Award? Is the Awards Dinner open to the public? Is the awards presentation open to the public? The Awards Banquet will be held at The Turkeyfoot Island Club starting at 5:30 pm for show participants. Launch, retrieval and trailer parking is available. For more information, please contact Gil Maringer at gbmaringer@juno.com or 216-310-7475.